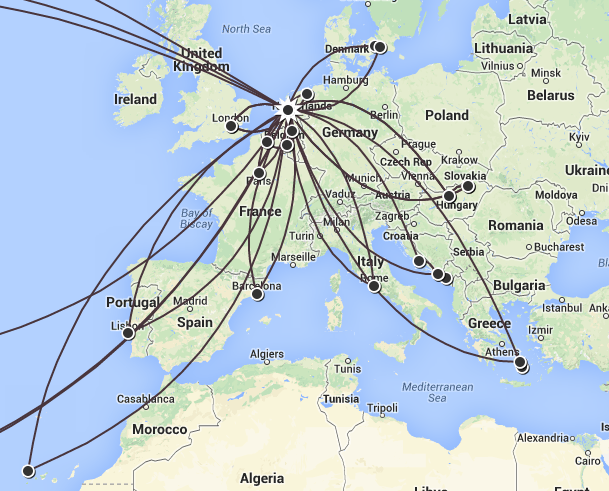 Writing | Where is Yvette? Trust me, it’s cool, and in large part because the graphics are incredible– imagine the Solar System over several pages, with little planets and space missions and text placed where appropriate. There is no way I am talented enough to do that part because my creativity does not go that way- Astronomy just has a wonderfully talented graphics guy- but I must say, it’s lovely when you have a vision for something and convince someone to make said vision despite your lack of talent to make it happen on your own. Teamwork at its best! 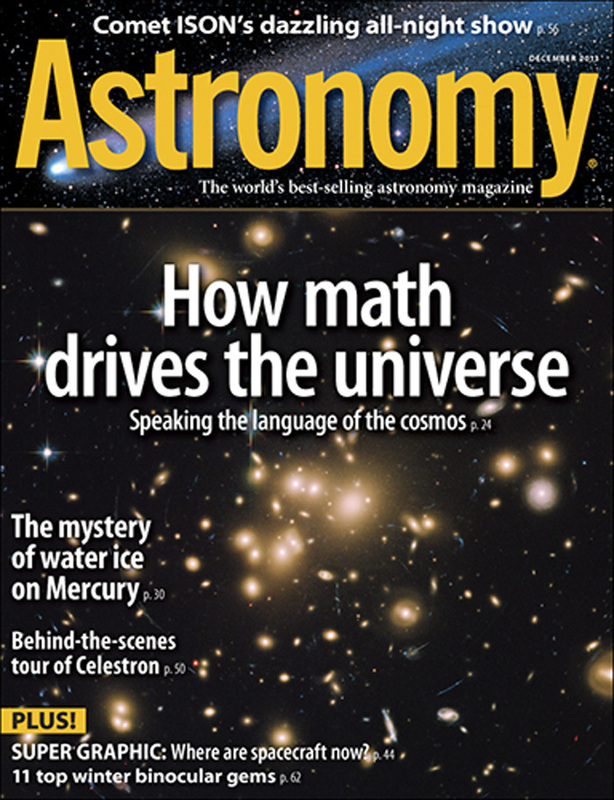 So anyway, get yourself a copy of the December 2013 Astronomy if you’re interested, whether digital or print- it’s a good one! So imagine this. I was in the lovely American Book Center in the heart of Amsterdam (our flagship English language bookstore) about to buy an arguably trashy read I found in the bargain section. The counter is right next to the giant news stand and while the clerk was ringing up my purchase I did a sudden double take when I saw what you see on the left. 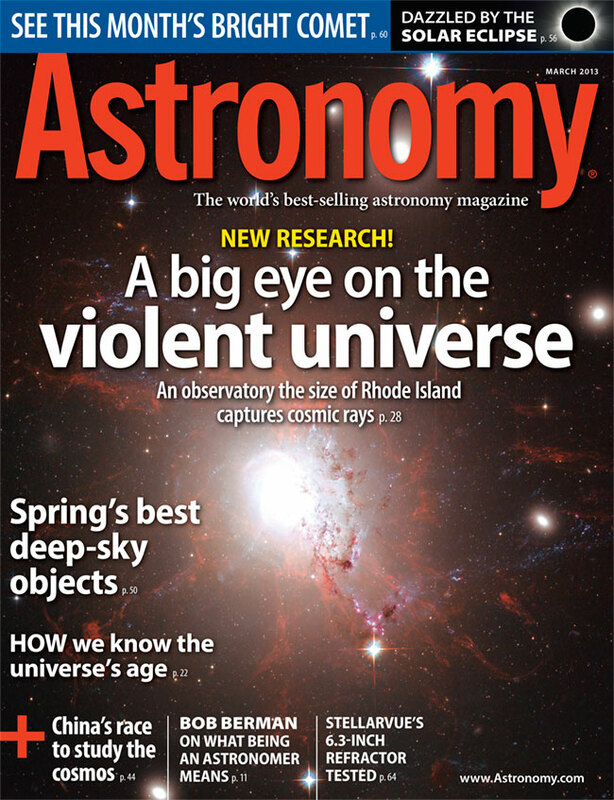 I pulled the magazine out to confirm, with my heart beating rapidly- yes, this was the Astronomy magazine for which I wrote the cover article, sitting innocuously on the news stand with all the other magazines! By this point the clerk wants the four Euro for the book and is giving me an odd look, so I feel obliged to explain. 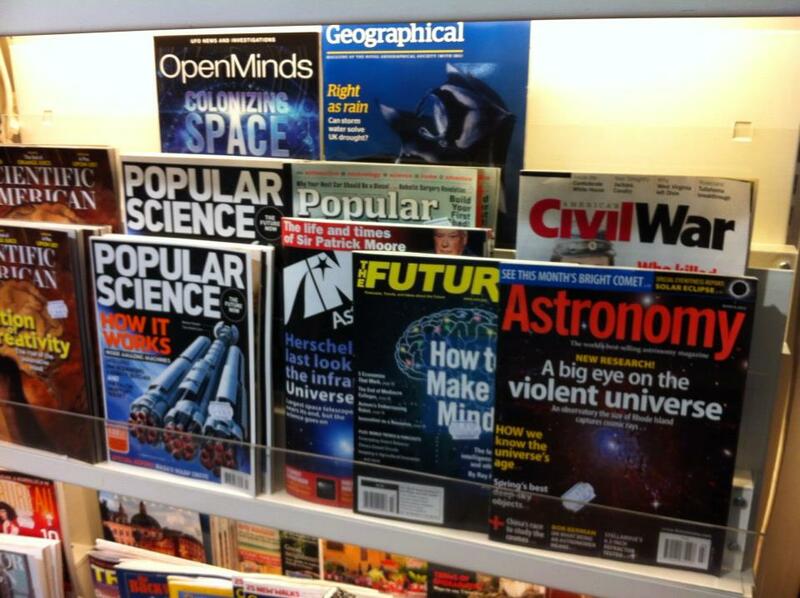 “Sorry, but I wrote this cover article!” I say proudly. “You wrote the cover.” He says this with a Dutch accent and a tone I’m not entirely certain of, but is very similar to one I hear if my native English pace of speech gets too fast and excited about something (which, let’s be honest, happens a decent amount). So I explain. 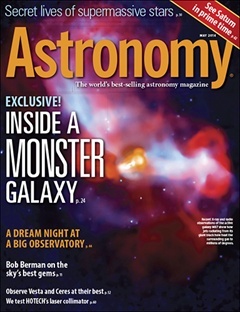 “Yes, I’m an astronomer and I write, and I wrote this cover article.” And I put the Astronomy magazine back on the newsstand- fun as it would be to purchase I have copies of the magazine already, and this is encouragingly the last one they have. “The door is that way,” he says with the same tone and look as he points helpfully two meters behind us at a doorway that any sane, rational person can spot seeing as you have to walk past it to get to the counter. And I realize at that moment you can’t actually tell someone you’re not crazy when they already think you’re making up being a scientist and writer for your own odd, perverted reasons. So I go. The funny thing though? Though my pride took a hit the writer in me doesn’t really mind, as for the rest of my life I have a good story from it.